If you are looking for a crunchy snack your kids or yourself try the Baked Lentil Chips by Mediterranean Snacks. Not only do they taste great and have that crunch factor that most kids love but they are nutritious too! One adult serving has 110 calories, 3 grams of unsaturated fat, 3 grams of dietary fiber and 4 grams of protein. And they are low in sodium too at 180 mg of sodium, but still have a salty taste. They are also gluten free. So what makes them so good, well they are made with lentil, garbanzo and adzuki bean flour. They come in six flavors including sea salt, cracked pepper, rosemary, roasted pepper, cucumber dill and parmesan garlic. 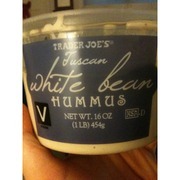 My favorite way to eat the Sea Salt Baked Lentil Chips is with a little bit of Trader Joe’s Tuscan White Bean Hummus. It will add more protein to the chips and makes a great healthy snack. Give them a try and you just might have a new healthy treat for you and your kids.